My comparison and demo video of the Laneige BB Cushion and Etude House BB Cushion is by far my most popular Youtube endeavor with over 164,000 views. Those of you who watched that video will know that I'm a big fan of the Laneige BB Cushion so you can imagine my surprise when I found out they also make a concealer in the same line. The Laneige Cushion Concealer* claims to be a makeup product with skincare benefits. 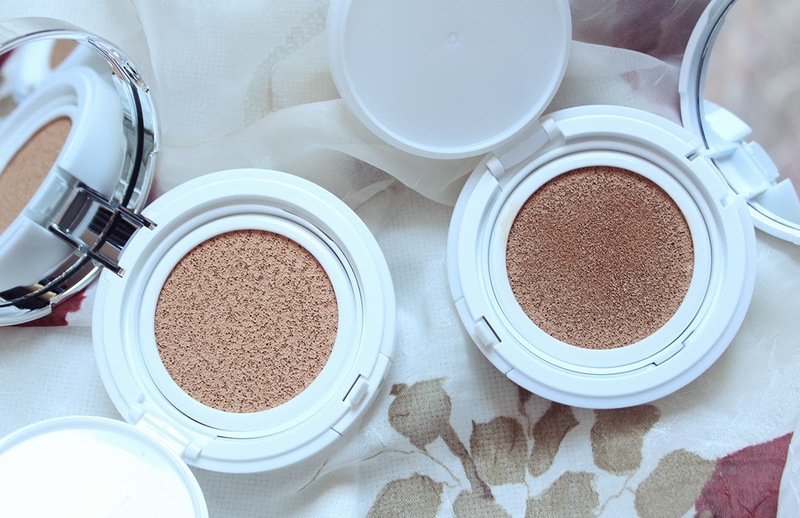 How does it stack up to the popular Laneige BB Cushion? 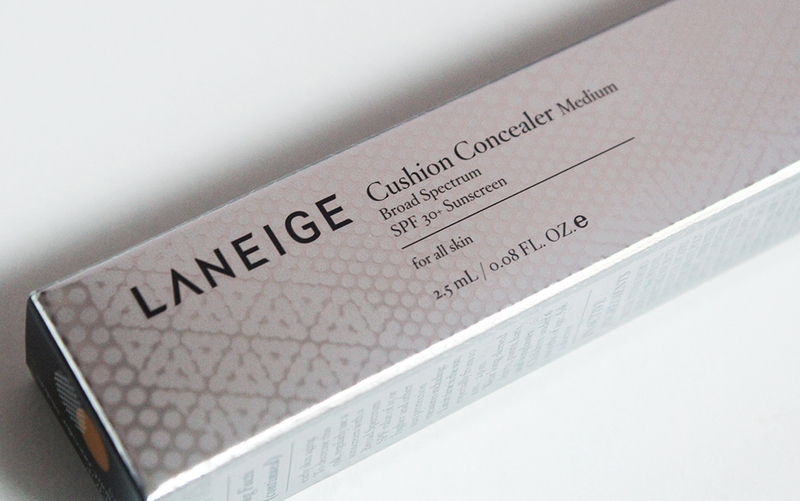 The Laneige Cushion Concealer comes in two shades: light and medium. 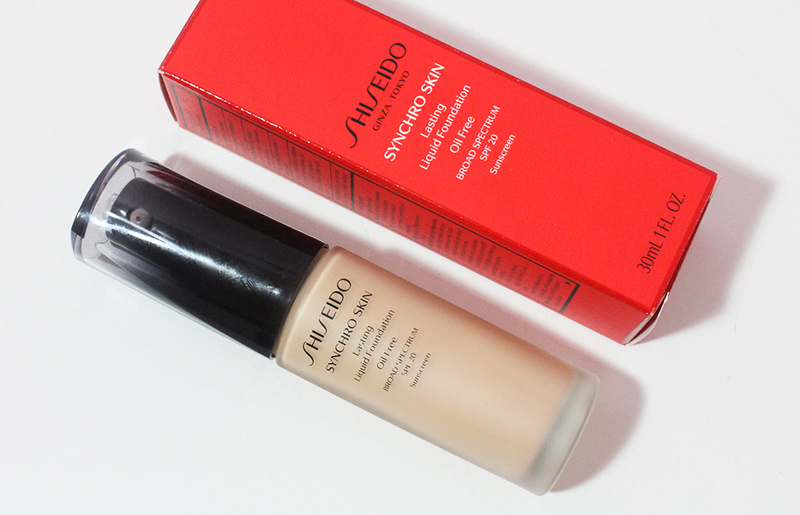 Medium works on my summer complexion which isn't too dark at the moment whereas light will fare better for me in the winter. Those of you who are of a deeper skin tone than I am are, unfortunately, out of luck. The product includes SPF30+ which is great since not many under eye products contain SPF and it can be tricky applying a sunscreen so close to the eye area. This concealer has a sweet floral scent to it, similar to the BB Cushion. The tube contains 2.5 ml of product and retails for $20 at Target. Compared to the Maybelline Instant Age Rewind Concealer, which has 6 ml of product, you're getting less than half the product for more than double the price. Laneige is a mid-high end skincare brand in Korea (think a notch pricier than Mac on the makeup price ladder) so $20 seems normal. 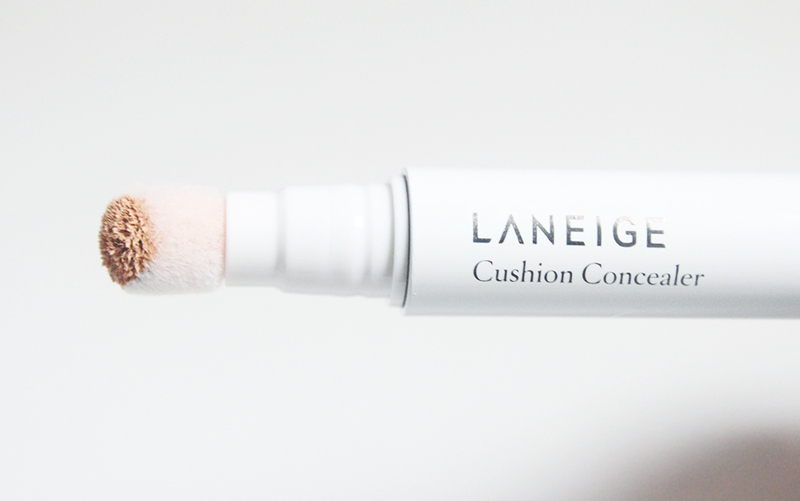 The Laneige Cushion Concealer is a click pen applicator with a very soft, doe foot applicator. The applicator material is not a sponge but a flocked fiber that feels very smooth and delicate. The size of the applicator is smaller than that of the Maybelline Instant Age Rewind Concealer so you can get this toward the inner corner of your eyes with ease. The opaque outer packaging is a chic white hard plastic that feels substantial in the hands. There is a clear bar that shows you how much concealer is left in the packaging which I really appreciate. Unfortunately, as with pretty much any click pen style applicator, it takes an unknown number of clicks before product comes oozing out rapidly.... With this it was no exception. I clicked the pen one too many times and dispensed about a fifth of what little product you get during my first use. 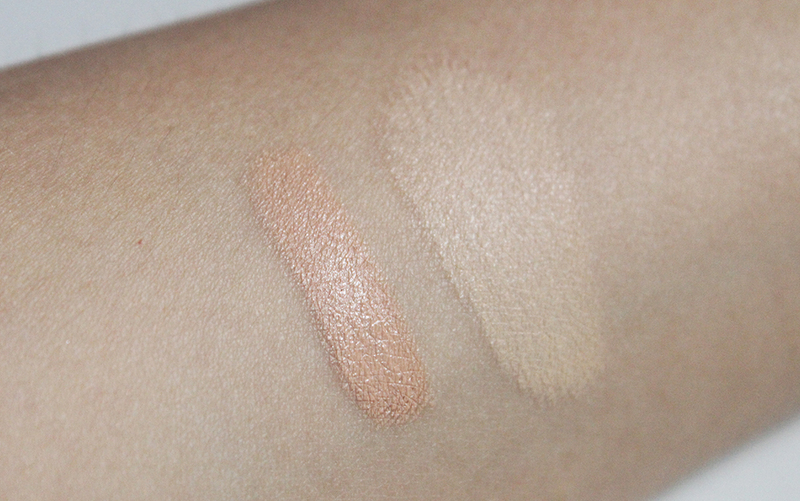 Here I've swatched the Laneige Cushion Concealer in Medium on the left next to Maybelline's Instant Age Rewind Concealer in Neutralizer on the right. 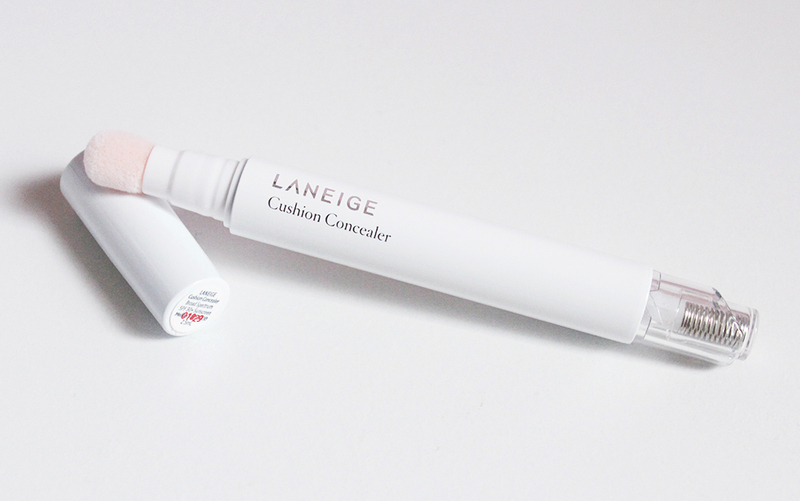 Clearly the Laneige concealer is much darker and more peach toned. Although the shade looks very dark on my arm, it blends very easily and looks very natural under my eyes. 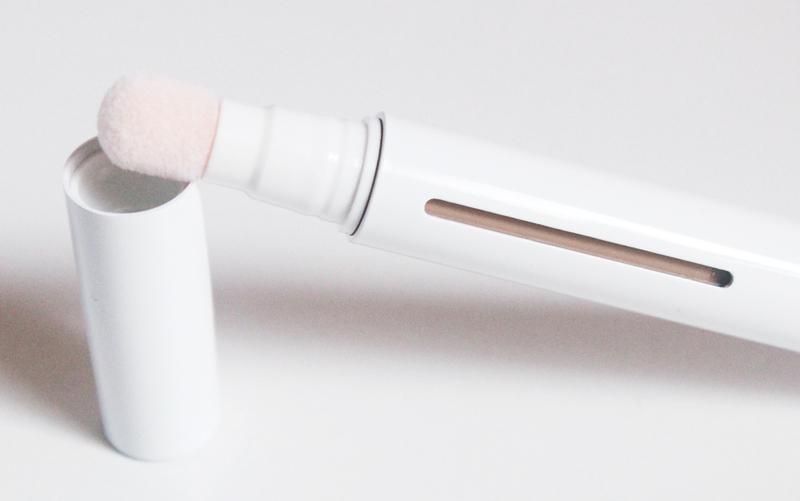 The texture of this concealer is moisturizing yet lightweight and not greasy at all. On the left you can see my bare under eye and on the right is after blending a light layer of the Laneige Cushion Concealer. I'd say there is a pretty noticeable difference! The concealer does not sink into fine lines or crease when set with powder. The creamy texture makes it easy to blend and it practically melts into the skin. Laneige has knows how to make great base products, as evidenced by their BB Cushion and now their Cushion Concealer. I like the way this concealer looks and I prefer the slightly richer formulation as compared to the drugstore Maybelline concealer which everyone raves about. I only wish the Laneige concealer contained a bit more product as I can see this being an everyday staple that I use up quickly. *This product was provided for consideration. All opinions are my own and 100% honest.